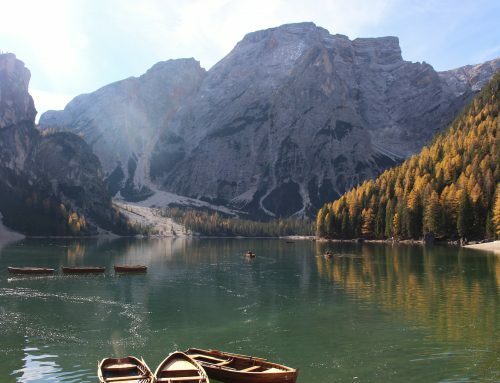 Italy is the perfect place for sea lovers. 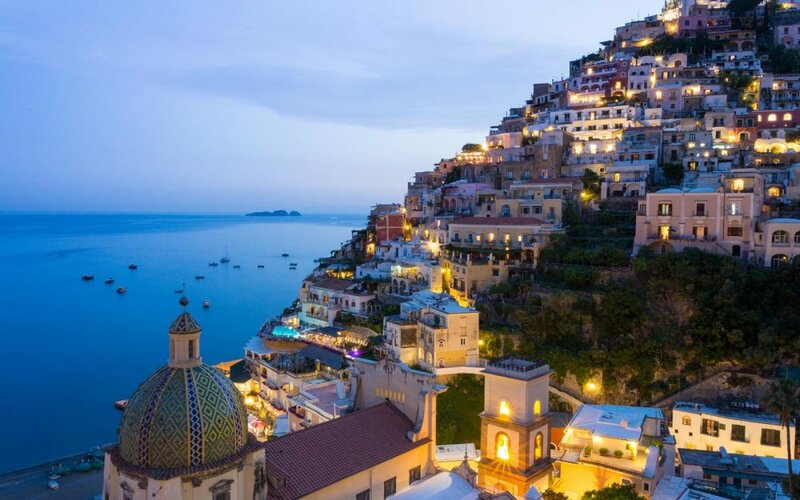 A coastline of outstanding beauty, the Amalfi Coast is one of the most romantic and alluring destinations in the Mediterranean, offering a stunning backdrop to your Italian charter escape, with luxury harbors and chic marinas to dock your yacht. 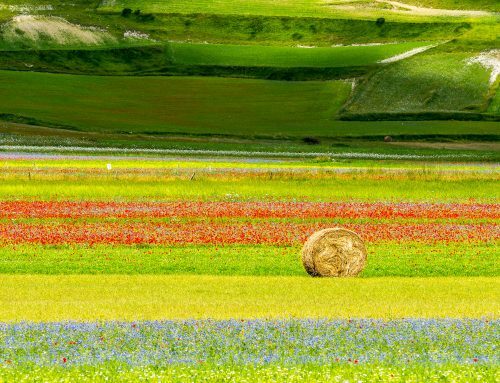 Sailing in the Bay of Naples and along the Amalfi Coast, listed as a UNESCO World Heritage Site in 1997, you will encounter marvelous volcanic islands, crystal clear waters and memories of ancients cultures. Chartering a yacht is the perfect way to explore deserted coves, lovely blue bays and the smaller islets. 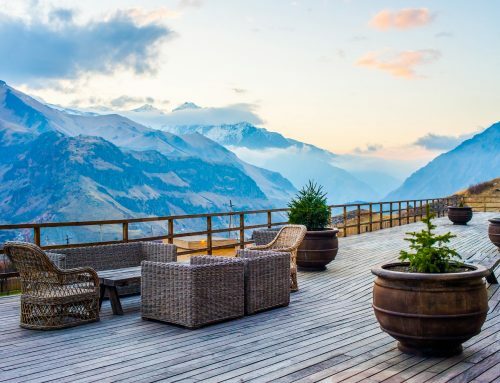 Dock each night and explore gorgeous places like Positano, Capri and Amalfi without the daytime summer crowds. Board your superyacht in Naples, one of the biggest metropolis at the Mediterranean, and cruise to the beautiful island of Ischia. Spend a couple of days in Ischia, the biggest of the Phlegrean Islands off the bay of Naples, relaxing in the thermal spas with natural baths and hot springs. 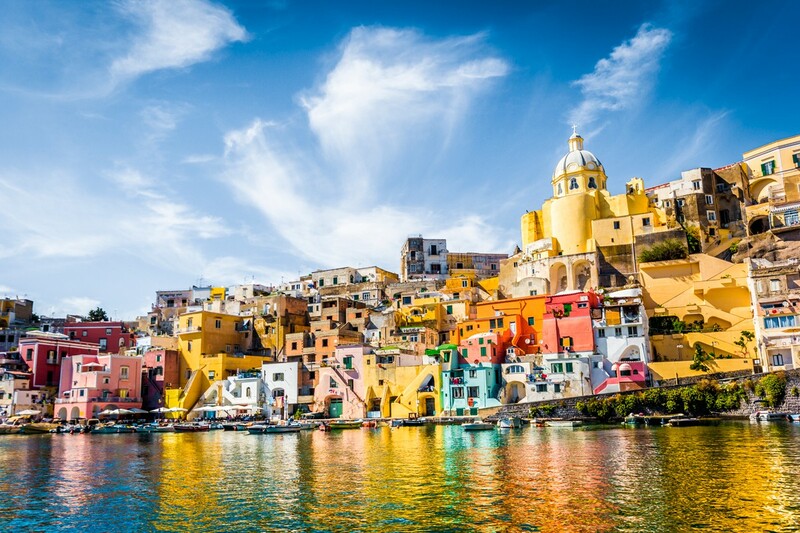 Terraced and cultivated with vines and orchards, Procida is located a short 20-minute cruise east of the island of Ischia. 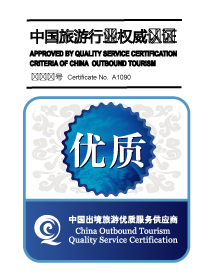 Enjoy water sports and swimming before going ashore and visit the small town with characteristic flat roofed cubic houses. Ventotene is located about 20 nautical miles north of Procida. Cruise around the island and choose a good spot for a refreshing swim before visiting Ventotene’s old fishing harbor, excavated out of the volcanic rock. 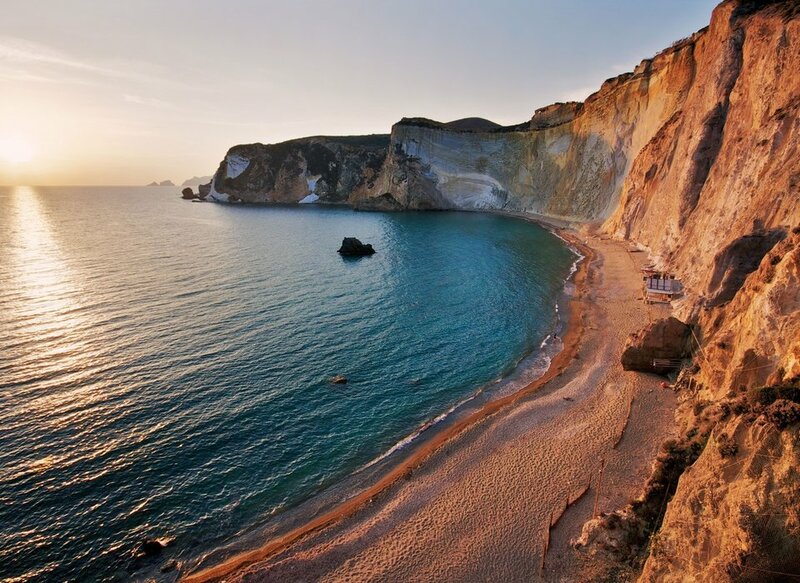 Further away is Ponza, the largest island in the Pontine archipelago, with many dreamy beaches that can be reached only by boat. Enjoy swimming, snorkeling and diving in the crystal water surrounded by breathtaking cliffs and spectacular rock pinnacles eroded into unusual shapes. Chiaia di Luna, Ponza Island. 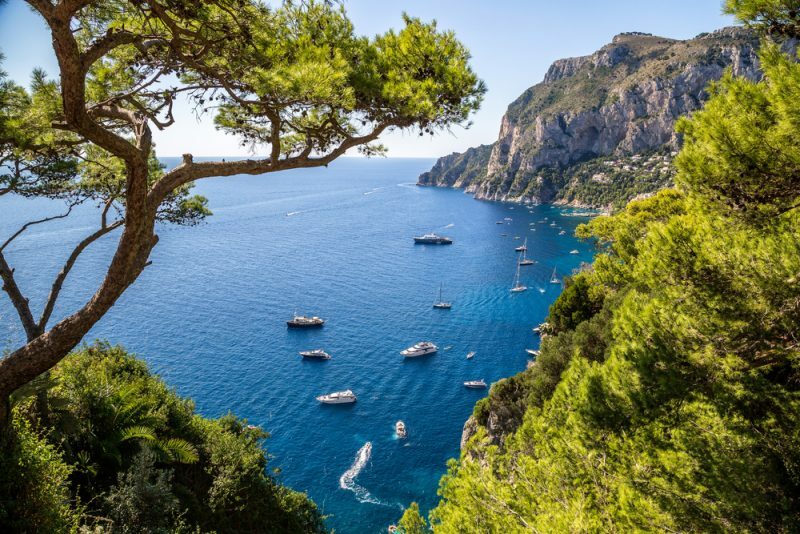 The best way to enjoy the small Italian isle of Capri is absolutely aboard a yacht. Located off the Amalfi Coast, Capri has been a popular spot among Hollywood celebrities since the 1950s. Luxury yachts are regular sights here. 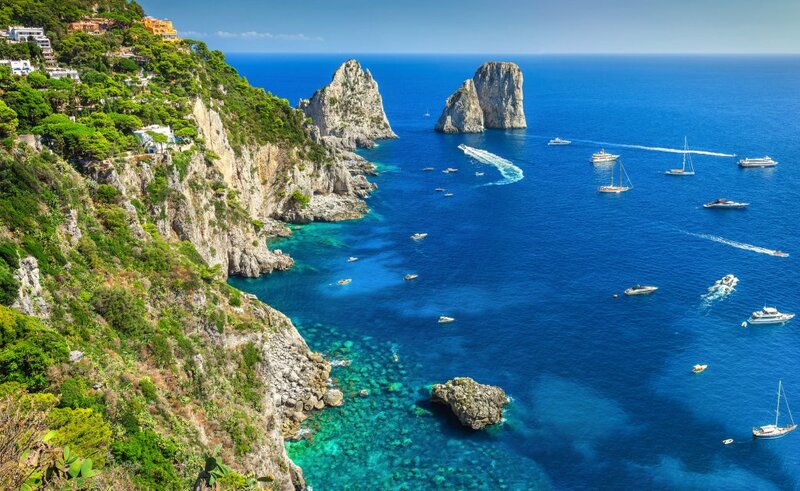 Dock your yacht at the Marina di Capri, and enjoy stunning views of the famous Faraglioni rocks that people have been flocking to admire for centuries. 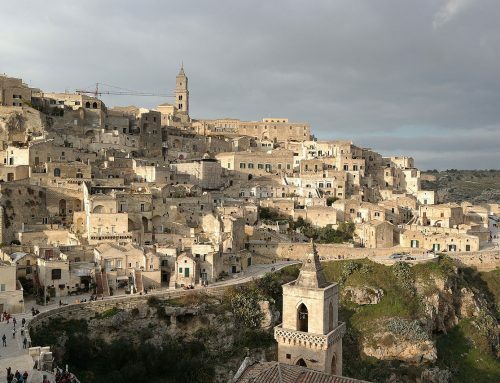 Jammed with designer boutiques, Capri is also a shopper’s paradise. Visit the outstandingly beautiful Blue Grotto and dive into the crystal clear waters. The exclusive beach clubs, accessible only by boat, make Positano a must visit destination for any luxury yacht charter in this area. Anchor your charter in the bay and visit the many arts and crafts shops selling locally crafted goods, lemon liquors, painted ceramics and the typical handmade leather sandals you can even have made on request, while enjoying staggering views over the bays of the Amalfi Coast. 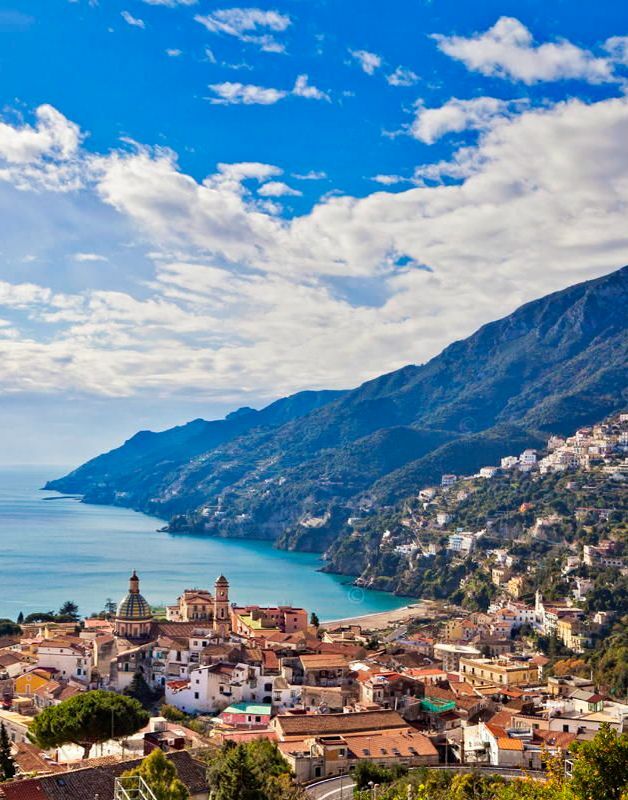 A trip to the Costiera Amalfitana would be incomplete without a visit to the town that gave this outstandingly beautiful stretch of coastline its name. 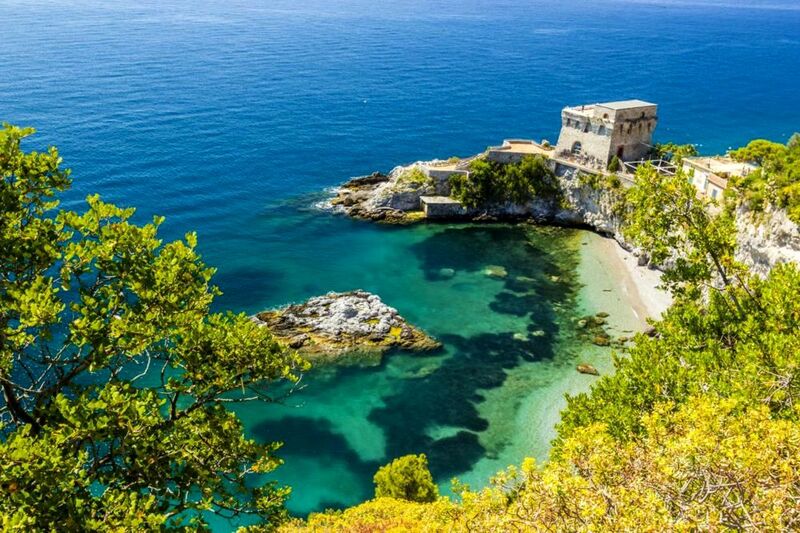 Visit Spiaggia di Laurito in Amalfi, a hidden rocky cove not far from the center of the town. Real tourist magnets, the little towns of Minori or Maiori offer stunning views. Minori is an attractive old place with the remains of a Roman villa, the best pastry shops in the area and secluded beaches and coves, accessible only by the sea. On a rocky and rugged stretch of coastline, the little town of Maiori is an outlier, with a wide sandy beach and a palm-lined promenade. 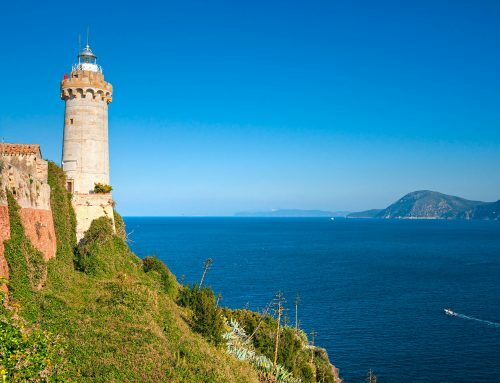 Surrounded by tremendous landscapes, Praiano faces an archipelago of three marvelous islands known as Li Galli, where the mythological half-woman half-bird Sirens allegedly lived. 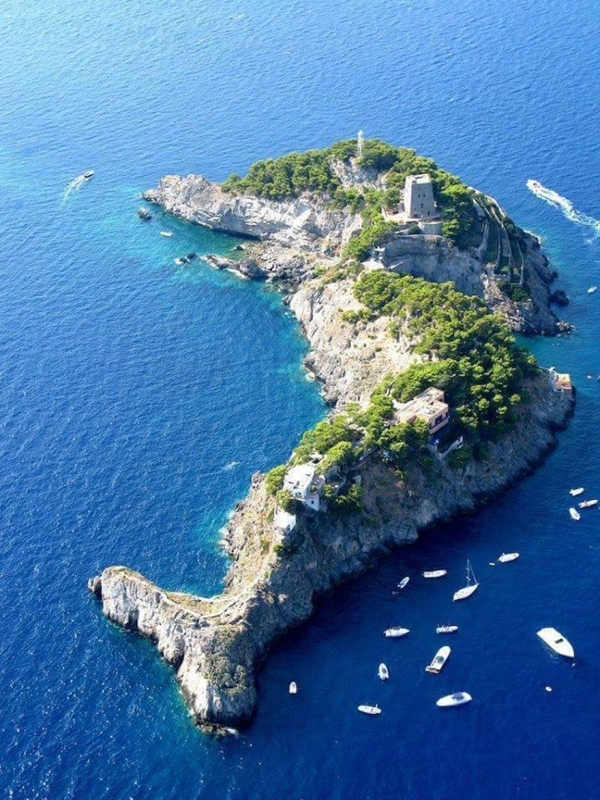 Li Galli Islands, Amalfi Coast. At the eastern limit of the Amalfi Coast lies the town of Vietri sul Mare, in the province of Salerno, with a plenty of little shops to explore, some of the largest beaches on the Amalfi Coast and romantic little bays only accessible from the sea. After docking at the port, visit Salerno, the largest city on the Amalfi Coast, with its charming Old Town and the magnificent Duomo.